Izzie’s is offering Eyelid Changer appliers for Genus Project mesh heads at the current Uber round. 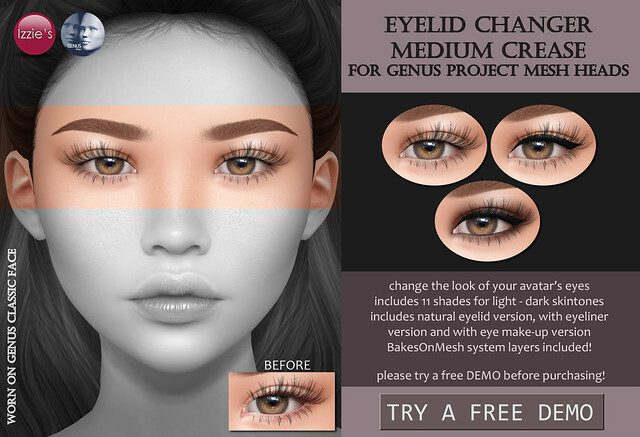 There are 3 sets available: medium crease, small crease and monolid. Each crease set comes in a natural version, with eyeliner and with eye make-up version in 11 shades for light – dark skintones. 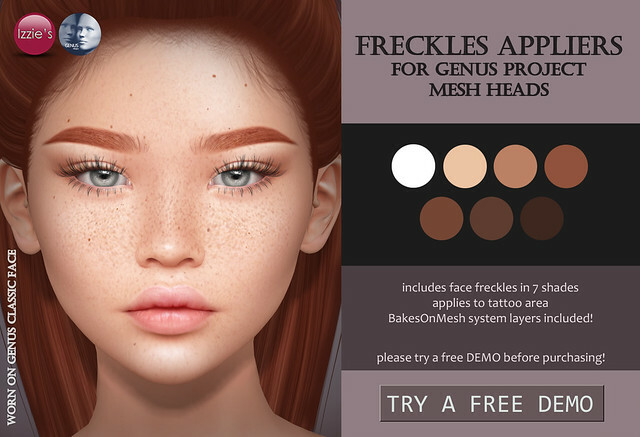 BakesOnMesh system tattoo layers are included as well. 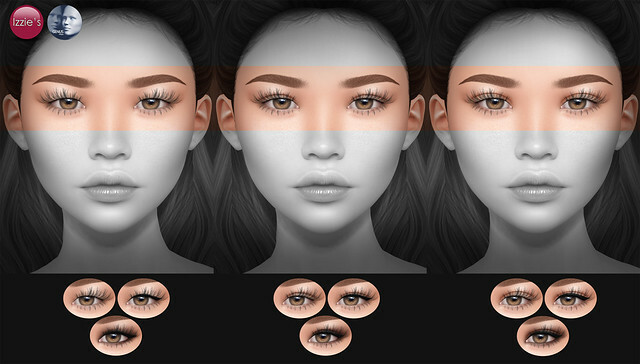 Izzie’s released Baby Hairs Hairbases for Genus Project and ToddleeDoo mesh heads at the mainstore and on Marketplace! 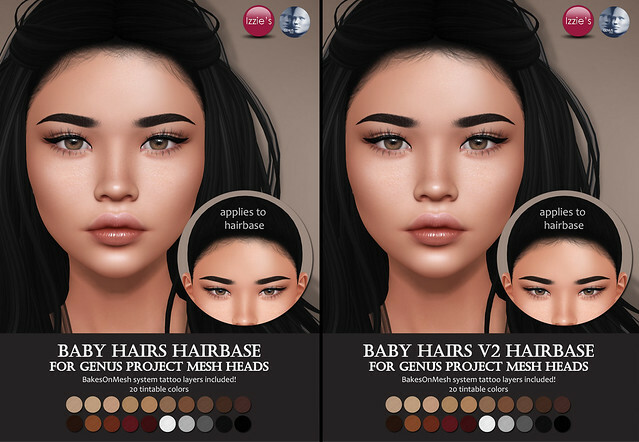 The Genus hairbases are available in 2 different versions. 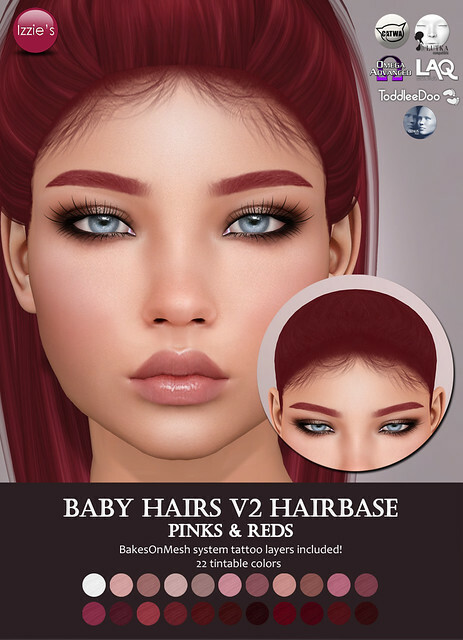 Each hairbase style comes in 20 tintable colors, BakesOnMesh system tattoo layers are included as well. 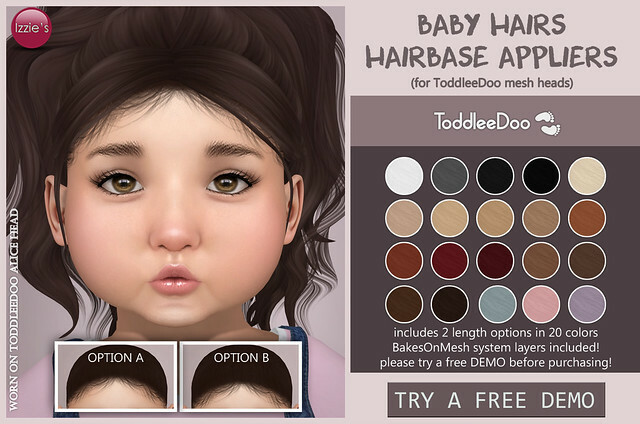 The ToddleeDoo Baby Hairs Hairbase is a revamp of Izzie’s Baby Hairs V2 Hairbase. It comes in 2 length options and 20 tintable colors. 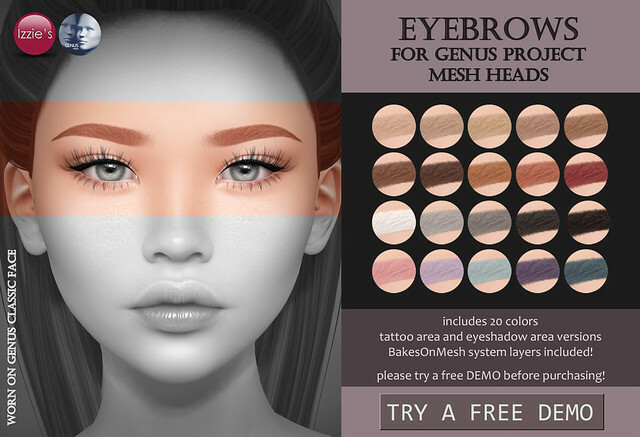 BakesOnMesh system tattoo layers are included as well. 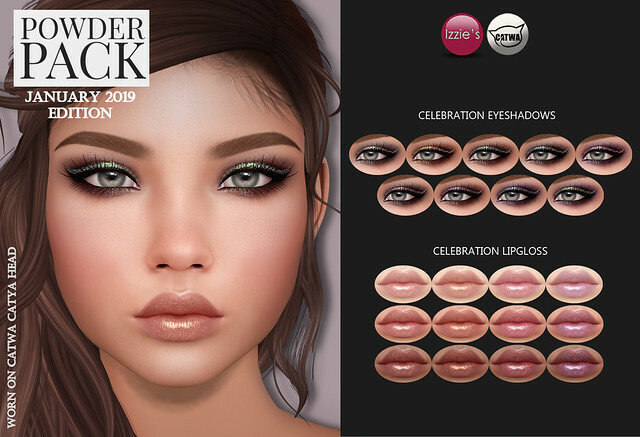 Izzie’s released a Classic Lipstick Set for Genus Project mesh heads at the mainstore and on Marketplace. 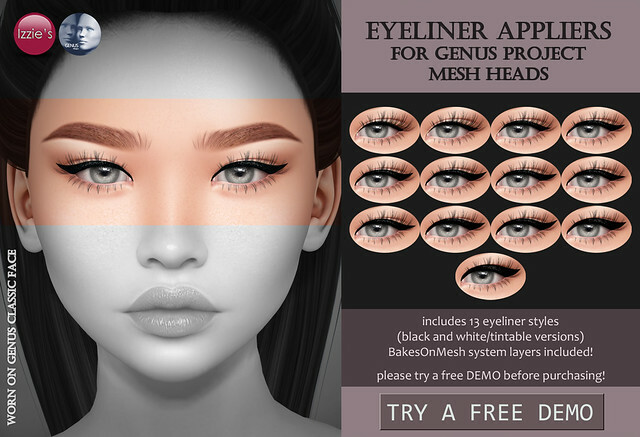 The set includes Genus appliers and BakesOnMesh system tattoo layers. 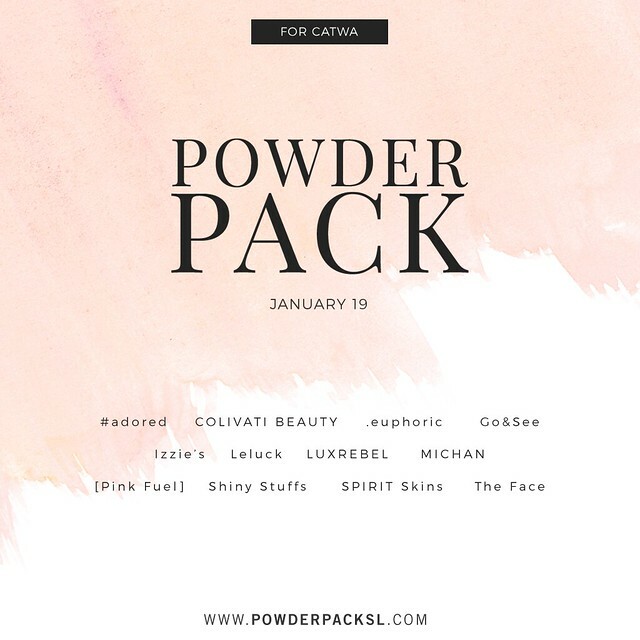 The lipstick comes in 10 colors in 3 shades. 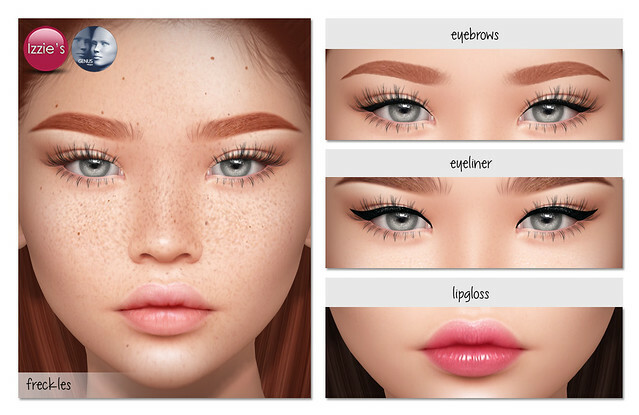 Please try a free DEMO before purchasing to make sure they will work for your head/skin!